Sourcing only the highest quality, fresh, local ingredients, the menu is a cool combination of traditional dishes with authentic Kefalonian flavours. 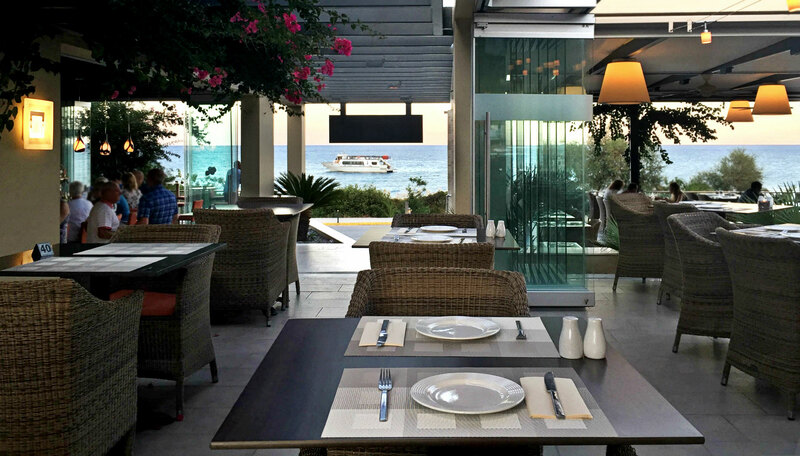 The extensive menu offers modern, fresh and healthy cuisine with traditional Kefalonian touches – something for every appetite, plus an impressive wine list boasting a selection of local kefalonian wines. Start with Shrimp Saganaki with feta cheese, parsley and ouzo or taste our famous AVRA Cheese Pie. Mains include fresh seafood – a specialty is the seafood platter including squid, sole, swordfish, anchovies and shrimps – and succulent meats like beef Filet 9 Muses in a cream sauce with fresh mushrooms and brandy and pasta dishes including an incredible Seafood Combo and Linguini 9 Muses. 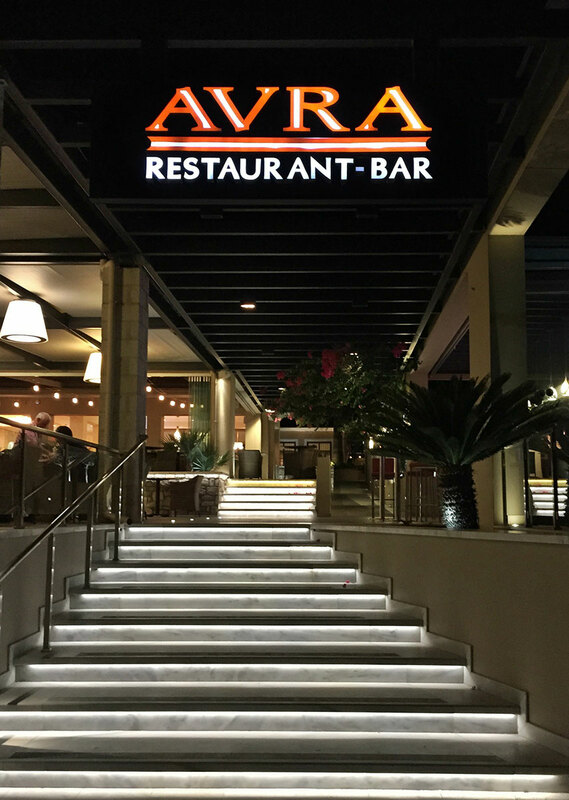 In addition to the romantic outdoor spaces Avra restaurant also offers a big indoor dining room (reservations recommended), ideal for larger groups, wedding venues and special occasions. Your magical evening ends perfectly in our elegant bar, where Amanda (which has epic critics on TripAdvisor) will make for you one of the best smoothies, juices and cocktails of course! There´s so many plates in our menu that made us famous through the years in Skala Kefalonia. Explore our amazing food, menus and drinks!